As we all know, the production schedule for the parts of Samsung Galaxy Note 9 began a good couple of months earlier than its predecessor, the Galaxy Note 8. While the Galaxy Note 8 was launched on September 15, 2017 after being unveiled on August 23rd, Galaxy Note 9 was expected to be released a month or two earlier. Industry experts and rumors have been speculating a release during mid July 2018 for Note 8 and global launch during early August. 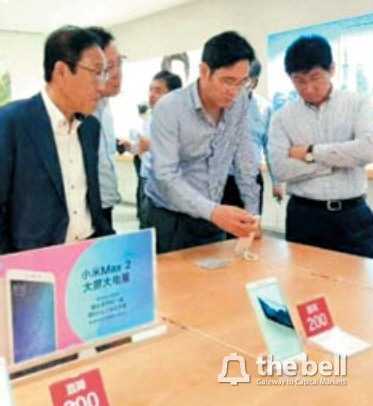 According to a report from The Bell, Samsung’s Vice Chairman Lee Jae-Yong visited a smartphone store in Shenzhen, China earlier this month to check out how a few Oppo, Xiaomi and Vivo phones felt to hold in the hands. After seeing the competitor models offer better grip, it’s said that the Chairman decided to reduce the thickness of the glass in the display. The display glass protects the OLED panel from our touch. Two weeks after the Chairman’s visit, Samsung has now decided to reduce the thickness of the glass by 0.5mm from the initial design. It is very unusual for Samsung to make last minute changes such as this one. Considering the fact that the Chairman has taken a call, it might be a strategic change done with the aim for increasing the sales of Galaxy Note 9. This might also make the competition tougher among premium devices. Due to this change, the release date of Samsung Galaxy Note 9 is expected to be delayed by two weeks from the middle of July to early August. It’s worth saying here that the front panel of Galaxy Note 9 is 0.06 inches thicker than the Galaxy Note 8 which measured 6.32 inches. In addition to this, the much expected in-display fingerprint sensor is not going to be a part of Galaxy Note 9. Samsung’s market share has been on a continuous downtrend in the last few quarters due to the stiff competition from brands like Xiaomi, Vivo, Oppo, OnePlus and Huawei. Samsung will hope to win big with its Note 9 and grab a bit of the lost market share.